Kosher Kashrut (also kashruth or kashrus, כַּשְׁרוּת) is the set of Jewish dietary laws. Food that may be consumed according to halakha (Jewish law) is termed kosher in English, from the Ashkenazi pronunciation of the Hebrew term kashér (כָּשֵׁר), meaning "fit" (in this context, fit for consumption). Food that is not in accordance with Jewish law is called treif (Yiddish: טרײף or treyf, derived from Hebrew טְרֵפָה trēfáh). Kosher can also refer to anything that is fit for use or correct according to halakha, such as a hanukiyah (candelabra for Hannukah), or a sukkah (a Sukkot booth). The word kosher has become English vernacular, a colloquialism meaning proper, legitimate, genuine, fair, or acceptable. 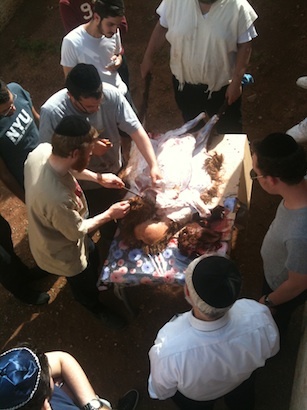 Among the numerous laws that form part of kashrut are the prohibitions on the consumption of unclean animals (such as pork and most insects), (with the exception of crickets and locusts), mixtures of meat and milk, and the commandment to slaughter mammals and birds according to a process known as shechita. Most of the basic laws of kashrut are derived from the Torah's Books of Leviticus and Deuteronomy. Their details and practical application, however, is set down in the oral law (eventually codified in the Mishnah and Talmud) and elaborated on in the later rabbinical literature. While the Torah does not state the rationale for most kashrut laws, many reasons have been suggested, including philosophical, practical and hygienic. Mammals and fowl must be slaughtered by a trained individual (a shochet) using a special method of slaughter, shechita (Deuteronomy 12:21). Among other features, shechita slaughter severs the jugular vein, carotid artery, esophagus and trachea in a single continuous cutting movement with an unserrated, sharp knife. Failure of any of these criteria renders the meat of the animal unsuitable. The body must be checked after slaughter to confirm that the animal had no medical condition or defect that would have caused it to die of its own accord within a year, which would make the meat unsuitable. These conditions (treifot) include 70 different categories of injuries, diseases, and abnormalities whose presence renders the animal non-kosher. It is forbidden to consume certain parts of the animal, such as certain fats (chelev) and the sciatic nerves from the legs. As much blood as possible must be removed (Leviticus 17:10) through the kashering process; this is usually done through soaking and salting the meat, but organs rich in blood (the liver) are grilled over an open flame. Fish (and locusts, for those Sephardi Jews who agree that they are both kosher and edible) must be killed before being eaten, but no particular method has been specified in Jewish law. 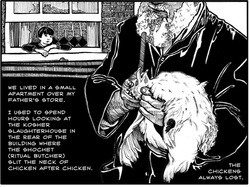 Kosher Slaughter consists of a small cut on the animal's neck. This method of slaughter is very similar with the Islamic version called Halal. 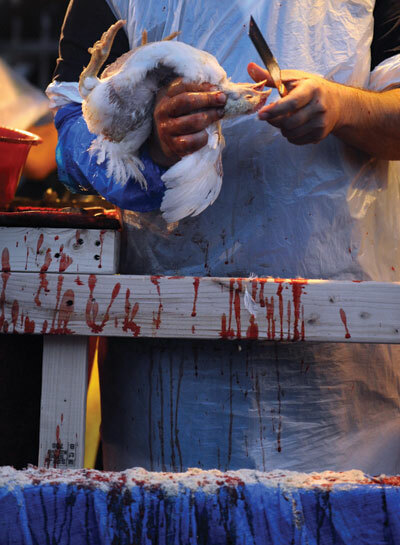 The animals are left to bleed for hours because it is forbidden to put them out of their misery. This is my exchange, this is my substitute, this is my atonement. (This rooster (hen) will go to its death / This money will go to charity), while I will enter and proceed to a good long life and to peace. 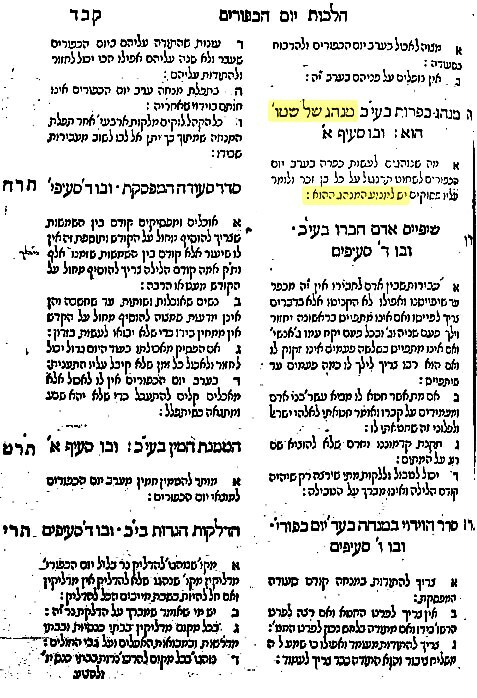 In the original printing of the Shulchan Aruch, Orach Chaim, ch.605, it said that the custom of Kapparot is a nonsensical custom that should be abolished. 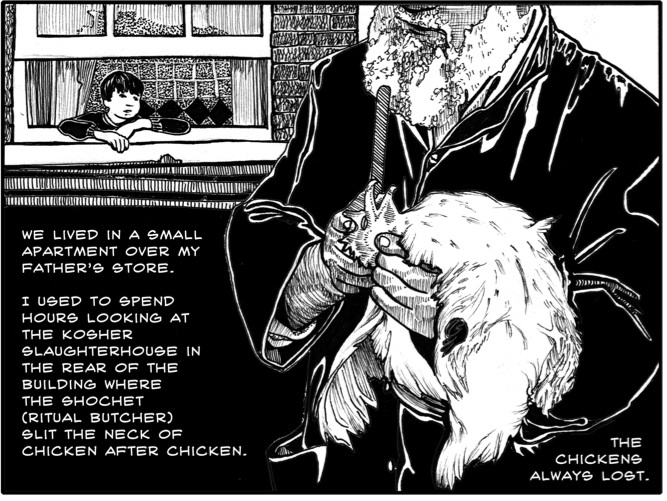 Future printings have censored and removed the reference to "nonsensical custom"
In one variant of the practice of Kapparot, a cockerel is swung around the head, slaughtered according to shechita, and then given to charity. In modern times, Kapparot is performed with a live chicken (rooster for men, hen for women), mainly in Chassidic communities. The purpose of Kapparot is for personal preparation on the eve of Yom Kippur. The chicken symbolically receives all the personal sins, and which is based on the reconciliation of Isaiah 1:18 in the Hebrew Bible. The religious practice is mentioned for the first time by Natronai ben Hilai, Gaon of the Academy of Sura in Babylonia, in 853 C.E., who describes it as a custom of the Babylonian Jews with the practice also having been as a custom of the Persian Jews and further explained by Jewish scholars in the ninth century by that since the Hebrew word geber (gever) means both "man" and "rooster" the rooster may act and serve as a valid religious substitute and a religious and spiritual vessel in place of the man. In those communities which utilize live chickens, the slaughtered chicken is directly used to provide food for poor families, often via communal organizations who pre-arrange distribution. Money In a second variant of the practice of Kapparot, a small bag of money is swung around the head and then given to charity. In both versions of the ritual, money or chicken, the charitable result is an essential element. Kapparot was strongly opposed by some rabbis, among them Nahmanides, Solomon ben Adret, and Yosef Karo. They considered it a non-Jewish ritual that conflicted with the spirit of Judaism, which knows of no vicarious sacrifice outside of the Temple in Jerusalem. However, it was approved by Asher ben Jehiel and his son Jacob ben Asher. The ritual appealed especially to Kabbalists, such as Isaiah Horowitz and Isaac Luria, who recommended the selection of a white rooster as a reference to Isaiah 1:18 and who found other mystic allusions in the prescribed formulas. Consequently, the practice became generally accepted among the Jews of Eastern Europe. In the Shulchan Aruch, Rabbi Yosef Karo discouraged the practice. According to the Mishnah Berurah, his reasoning was based on the fact that it was similar to non-Jewish rites. Rabbi Moses Isserles disagreed and encouraged Kapparot. In Ashkenazi communities especially, Isserles' position came to be widely accepted. The late 19th century work Kaf Hachaim approves of the custom for the Sefardic community as well. 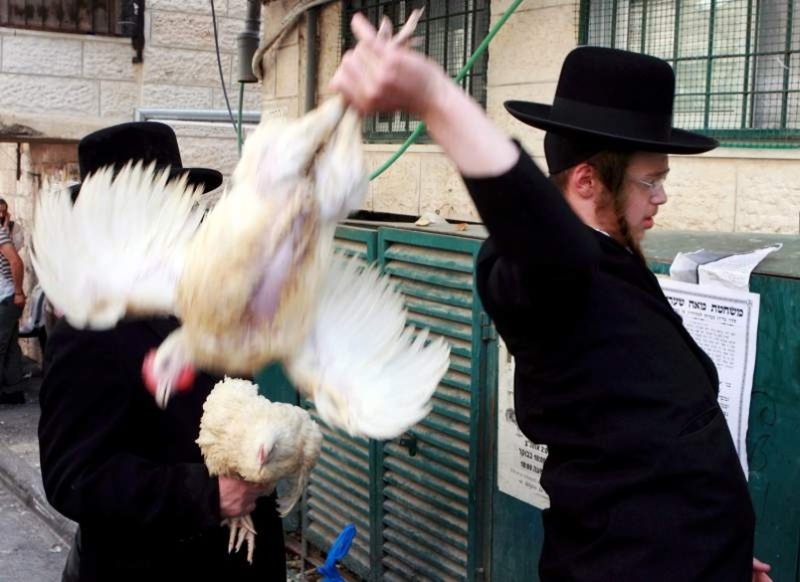 Some Jews also oppose the use of chickens for Kapparot on the grounds of Tza'ar Ba'alei Chayim (the principle banning cruelty to animals). On 2005 Yom Kippur eve, a number of caged chickens were abandoned in rainy weather as part of a kapparot operation in Brooklyn, New York; some of these starving and dehydrated chickens were subsequently rescued by the American Society for the Prevention of Cruelty to Animals. 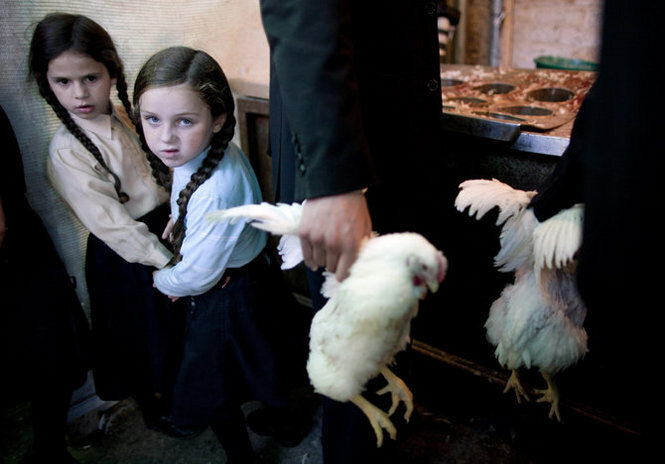 Jacob Kalish, an Orthodox Jewish man from Williamsburg, was charged with animal cruelty for the drowning deaths of 35 of these kapparot chickens. 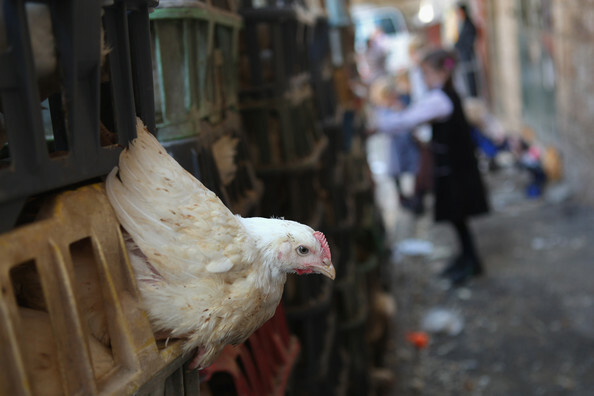 In response to such reports of the mistreatment of chickens, Jewish animal rights organizations have begun to picket public observances of kapparot, particularly in Israel. The abattoir Charal Metz has been infiltrated by an investigator with the animal protection association L214. The footage shot by hidden camera are final. Whether or not ritual slaughter, non-compliance with regulations resulting in unsustainable dead cattle (cows, oxen) hanging by one leg to the slaughter fluttering desperately for several minutes before making their last breath. 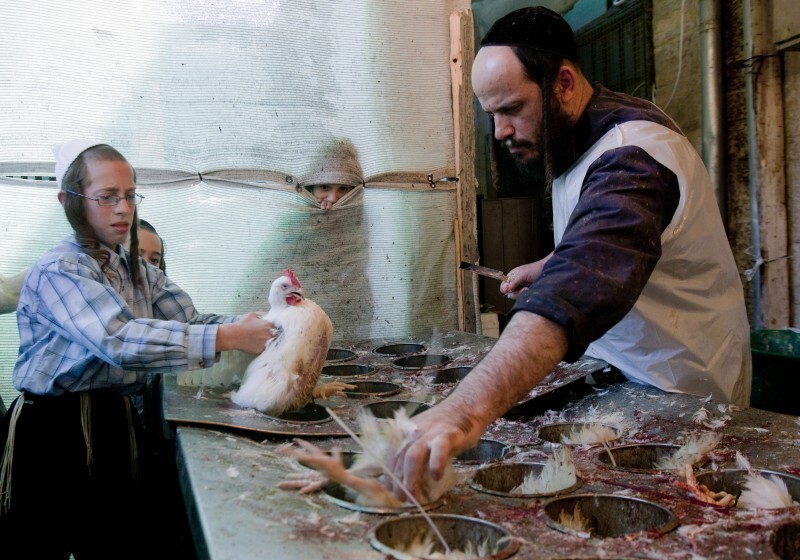 This is how kosher meat is made. 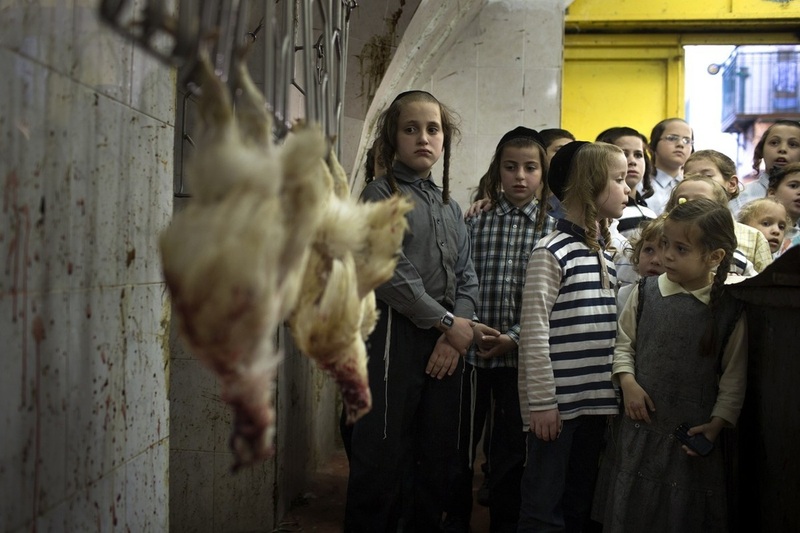 Secretly recorded inside a kosher slaughterhouse. The video shows a worker cutting cows' throats while the cows are still alive, in accordance with Jewish law, and the cows flailing on the ground afterwards.